Greenville City Council’s Safety Committee will recommend keeping the 90-minute time limit in downtown Greenville. GREENVILLE — Greenville City Council’s Safety Committee will recommend maintaining the current 90-minute time limit for downtown parking, it was determined Thursday. The committee — Councilmen Doug Wright, Clarence Godwin and Leon Rogers — met to consider the issue of extending the 90-minute time limit, per day, for parking in the downtown. A proposal to extend the time limit to three hours had been suggested at an earlier council meeting by Councilman Jeff Whitaker. The current city ordinance allows 90-minute free parking from 9 a.m. to 5 p.m. on Mondays, Tuesdays, Wednesdays and Fridays, and between 9 a.m. and 12 noon on Thursdays of each week, except on holidays designated by the Ohio Revised Code. 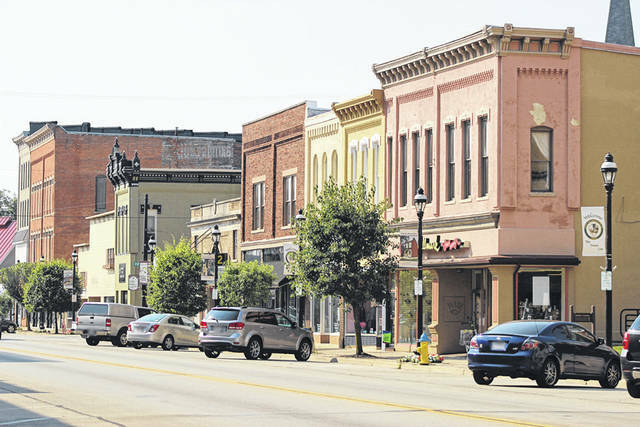 The issue of downtown parking came to the forefront as the result of a number of citations issued during the 2017 Annie Oakley Days event when 20 motorists were cited. The fine for exceeding the parking time limit is $10. Council established a moratorium for parking during Annie Oakley Days this past July. Godwin said he didn’t feel extending the limit to three hours would be helpful to either business owners or customers. “By the time someone complains and you get an officer up there, then they’re going to have another three hours to park. If you do that there, it’s going to basically be a free-for-all,” he said. Councilman John Hensley addressed the committee, and agreed with Godwin. He pointed to business owners as the primary violators of the parking ordinance, and said for the year thus far, 173 complaints have been called in, and 26 citations issued. Scott Resor, owner of Unwrapped Pack & Ship on South Broadway, also addressed the committee. The committee will submit its report to Greenville City Council at its September 18 meeting.